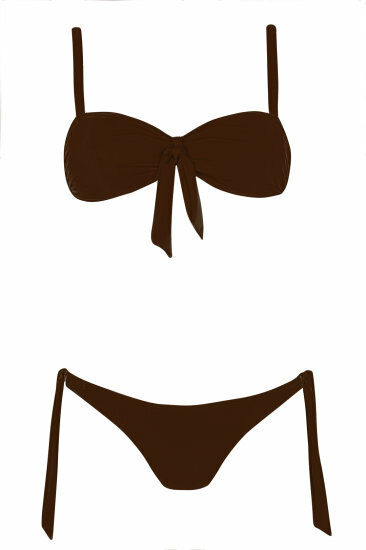 TINA is a two-piece swimsuit that gives a youthful look. Bra in the form of a band tied with a bow has removable inserts. Fastening at the back and adjustable straps ensure perfect fit and stability, even during doing crazy water acrobatics. The tied knickers can be freely adjusted at any time.